If you work with customers, you surely know that customer comments are like gold to any company. Once you understand what your customers want, your company can work on perfecting your product or service, and on cultivating a better customer experience, leading to loyal customers and a stronger business. However, when it comes to collecting customer comments, several challenges present themselves. To ensure that you understand what your customers really want, you first need to collect their feedback. This is usually done through surveys or questionnaires. Customer comments can be advantageous, especially if you ask questions which can be properly analyzed. So, how exactly do you evaluate what customers want? 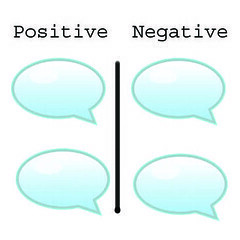 Evaluating each comment as it is returned helps in understanding the needs of individual customers. It helps to divide the customer comments and evaluate them in batches. This way, you will uncover patterns in the responses. While this method of analyzing customer comments is effective, there are some downsides. It can be time-consuming, and it is only effective if the right questions have been asked, and if your company uses the information and takes action. Carefully analyzing customer comments and taking action based on them will open new doors for your organization’s success. With OneDesk, you can easily collect customer comments in one place, by embedding a customer feedback application on your website, or by simply inviting customers to submit feedback through the customer portal. Their feedback can then be categorized, and quickly assigned to the appropriate person to work on it. Best of all, if you are not sure which category a feedback falls under, simply reply to the comment and start a conversation with the customer. Save time, gain loyal customers and improve your business by trying out OneDesk’s customer portal today.